Shopping in Vietnam: 21 Places To Satisfy The Shopaholic in You! Whether it's in your favourite street side market in a high-end showroom, the thrill of shopping is something that no one can resist. And when it comes to shopping in Vietnam, be assured that some interesting articles at very reasonable prices await you! Ranging from handicrafts to jewellery, textiles to art, and this country has quite a few things to offer. 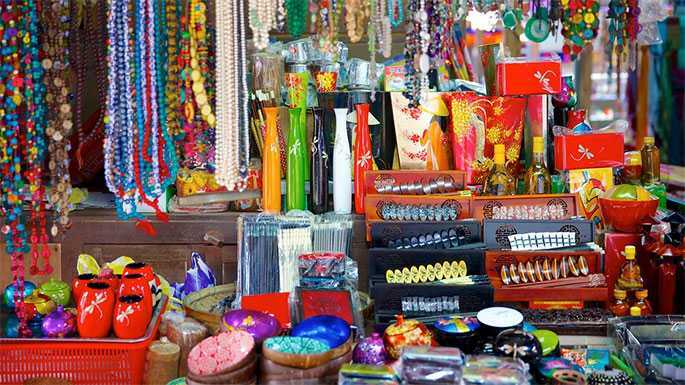 Best of all, these shopping places and malls are the best places for you to find traditional Vietnamese clothing and souvenirs, the perfect way to commemorate your trip to this oriental wonderland! One of the must-visit markets of Ho Chi Minh City, Ben Thanh Market is a busy area regularly thronged by visitors both local and international. Vietnamese Coffee is one of the most sought-after commodity here, and you will find a wide variety of the same here. In addition to this, you can also skim through a wide collection of apparels, textiles, luggage, watches, handicrafts, and electronic goods. Morning hours are perfect to get your hands on newly harvested fruits, spices, nuts and seafood. Ben Thanh is a good place to sample local street food at really reasonable prices. Among other dishes, you will also find pho, spring rolls, vegetarian noodles, fresh seafood, crispy rice pancakes and steamed cakes. Some unique items that you might want to pick from here include lacquer ware, bamboo goods and art pieces. Unlike most markets of Vietnam, the prices here are fixed, and bargaining might not be very helpful. Under the starry Vietnamese sky, the experience of shopping at Hanoi Night Market is one that is unique in every right. A myriad of colours and bubbling crowd will welcome you into this happy affair, where you can also see Hanoi's historic landmarks decorated for this weekly market. The best part about this shopping encounter is perhaps its wide array of delicious Hanoi street food such as bun thang (rice vermicelli soup with shredded chicken, fried egg, and pork), La Vong grilled fish, pho (noodle soup with beef or chicken), banh mi (Vietnamese sandwich), and bun cha (rice noodles served with roasted pork). Other miscellaneous items up for sale are t-shirts, handicrafts, accessories, shoes, sunglasses and souvenirs, which you can buy at prices as low as 25 percent of the original quoted prices, so don't forget to bargain! Many cultural and musical events hosted by the locals are regularly held here, and the entire spectacle of this market is an aesthetic extravaganza. Located in Ho Chi Minh City's Chinatown, Cholon is the perfect place to experience the local Buddhist culture. This region here offers a wide variety of goods and food items that illustrate an amalgam of the Vietnamese and Chinese cultures. You can find an exhaustive collection of various authentic items such as handicrafts, lacquerware, textiles, and fresh produce which is quite a staple here as well. Cholon also has a historical aspect to it and has an altar honouring the founder of Binh Tay. Not many places have an entire marketplace dedicated to the trade of flowers, but then, Vietnam isn't your average shopping destination! Starting as early as 2 a.m., the Quang Ba Flower Market in Hanoi has the most varied collection of vibrant blossoms that are brought in from the nearby villages of Dong Anh, Soc Son, Me Linh, Dalat, and Nhat Tan. The most popular flowers here are daisies, cherry blossoms, roses, orchids and sunflowers. A sight for sore eyes, this place will warm your heart with its endearing colours and fragrant atmosphere. A camera would make an excellent accompaniment to this destination! The Han Market in Danang has been here since the past century, and has practically every single thing you could need all under one roof! You can buy tropical fruits such as bananas, mangoes, durian, and jackfruit if you wish to experience Danang through its delicious produce. However, local specialities which also double up as souvenirs includes chilli paste, Ly Son garlic, rice crackers, and dried squid. Han Market has an amazing food court which offers delicious delicacies such as Vietnamese turmeric noodles, broken rice, crispy pancake and Vietnamese spring rolls for you to gorge on. In addition to these, the regular goods such as textiles and clothing are also easily available here. Another great indoor option for shopping in Ho Chi Minh City is An Dong Market which has a good collection of fabrics and clothing. This market is arranged over many levels, and the lowest level here sells some great food items to gorge on. If you are interested in buying souvenirs, the top floor of this market has some interesting options. Carved incense burners, animals figures, trays, tea sets, chopsticks sets, coasters and chopsticks rest are a few of the items available here. Prices are quite cheap, and you wouldn't feel the need to negotiate with the shopkeepers. Visit this destination for great merchandise at affordable prices! If you've had enough of land-based markets, worry not for Vietnam has you covered! Located in the Mekong Delta is Cai Rang which is an entire market-spread based on boats, and the biggest one in the entire delta region. A picturesque bridge serves as the perfect location for some good old photography. If you wish to avoid the rush of customers, you might want to visit this destination during the morning hours. Navigating the market requires you to hire a boat after which you can quickly look into the various goodies up for sale. The market mainly sells fruit, vegetables and fish, but you can also get an authentic pho breakfast here. Visit this destination for an authentic experience. Bustling with the raw energy of localities is the Sapa Market where you can experience the spirit of the mountains. The sensory fiesta here is a wonderful experience and will fill you with a renewed energy. You can buy fresh produce of fruits, vegetables and meat here at very reasonable prices. A wide variety of Chinese products, crafts and souvenirs also find a place here, so do check them out. Another great place to shop for Vietnamese products would be the Dong Ba Market in Hue, where you can find the freshest ingredients at really affordable prices. Traditional Vietnamese breakfast is a rage here, and you can try out scrumptious dishes such as Pho, Banh Khoai (stuffed omelette), and fresh spring rolls. You can also find vendors here selling unique souvenirs and Vietnamese clothing at affordable prices, capturing the essence of Vietnam. The Nha Trang Market, also known as Dam Market, is one of the busiest marketplaces of Southern Vietnam. Spread over a three-storey establishment, this shopping centre is quite well organised and easy to navigate. Fashion and accessory enthusiasts will find handmade clothes, trinkets, handbags, watches, sneakers and reproductions of branded clothing towards the front and middle parts of the market. The backside of the market is reserved for edibles, and you can find both raw and ready to eat food items here. Dried seafood delicacies such as vacuum-sealed shrimp, seaweed, and cuttlefish also make an appearance here and are worthy of the taste. Located along the quaint banks of the Thu Bon River is this heritage market, where you can buy Hoi An's fresh produce of fruits, vegetables and tangy spices such as saffron and cinnamon. Its riverside location makes it the perfect place for some fresh catch of fish, which is readily available to go straight to the kitchen. Handicrafts, handmade textiles and souvenirs are quite abundantly available as well. A great activity to pursue in Phu Quoc Island post-sundown is the amazing Dinh Cau Night Market, where you can experience the local cuisine and also indulge in some good old shopping. This bazaar has about a hundred stalls selling lip-smacking snacks to gorge on as you shop. Grilled scallops, steamed squid with fermented fish sauce, boiled sea snails, flower crab with rice noodles, and deep-fried shrimps are some of the hot favourites here. Dinh Cau has a decent collection of gift items such as T-shirts, slippers, jewellery and handicrafts. Delight you foodie friends with fermented fish sauce, dried seaweed, black pepper and cashew nuts, which are ideal gifting options as well. Located in the capital city of Hanoi, the Dong Xuan Market, an indoor market in Vietnam, is a one-of-its-kind in the city, giving off a more unique shopping experience. Apart from the regular goods which include fresh seafood, meats, and vegetables, this two-storey market also sells printed t-shirts, fabrics, handbags and handicrafts that are sold at wholesale prices. The iconic Vietnamese conical hat is also found here and would be an excellent addition to your headgear collection! This popular marketplace, the largest of the province, opens up right at the crack of dawn and has an absolutely fresh spread of cheap seafood such as shrimps, squids, fish, snail, clams and crabs. Morning time is the best time to visit this market if you wish to try out some really delicious authentic Vietnamese food. Edible souvenirs can be brought here, and nuoc mam cham (fermented fish dipping sauce) and coconut candies are favourites among tourists. You can also buy unique and traditional Vietnamese souvenirs like Cham textiles and ceramic gifting items as well. Visit the Phan Thiet Central Market for a quick glimpse into the lifestyle of Vietnam. The seventh-century old pottery and ceramic market located next to the Red River will make for a fun and dynamic stop on your visit to Vietnam. This strip of potters and ceramic shops dole out beautiful and intricate trinkets and household objects. Some shops even let you make your own earthen wonder. If not shopping, you can always just take a walk down the street, taking in all that the local Vietnamese culture has to offer. You can reach the Bat Trang village by taking a bus to Dong Xuan market, which is very near to the market. Opening Hours: The market operates from 8 AM to around 8 PM. The Hang Gai street or silk street is the one-stop destination for premium quality silk fabric and apparel. The 300-meter stretch offers a large variety of shops selling home furnishings, running fabric, and tailor-made or ready-to-wear silk outfits. Many boutiques and street shops, set on the edge of Hanoi’s Old Quarter lake, also sell stationery, lamps and souvenirs for you to take back. Hang Bac street is one of the Hang streets in Vietnam, which are located near each other.The Hang Bac street was known for harbouring it’s many goldsmiths. This is essentially a jewellery market selling gold, silver and artificial jewellery and accessories. Apart from this, you can get a dose of history by visiting the Kim Ngan temple or try Vietnamese fare at the Orchid restaurant for an affordable price. The Japanese store chain, Takashimaya, opened in Ho Chi Minh City, Vietnam, and has been a favourite place for shopping in both Vietnam and Ho Chi Minh City. You can get the best products from Japan, Europe and North America right in the heart of the city. The first floor hosts the jewellery, cosmetics and fragrances from brands like Bobbi Brown and Estee Lauder where you can even get free makeup trials. The second to the fourth floor carries the best footwear and apparel brands like Clarks, Banana Republic and Bebe. On the topmost floor is the food court. Here, you can get an assortment of dishes like ramen, sashimi or even tea from TWG Tea Salon. Located in the bustling district 1, it is hard to miss this shopper paradise. Another popular Japanese-owned mall, Aeon Mall can be found in Hanoi. At a sizeable 120,000 square metres, it hosts four storeys of stores ranging from jewellery and cosmetics to shoes and clothing from top brands of the world. Better yet, it features a food court and multiple entertainment centres like arcade gaming, a bowling alley, a cinema hall. The Aeon Mall in Long Bien is a favourite among local and foreign shoppers in Hanoi as well as Vietnam. Families travelling with children will be happy to hear that the mall has an indoor playground as well. It is located just east of the Old Quarter in Hanoi; because of this, there are shuttle buses that ply regularly. If you'd like to opt for a taxi, which is recommended to avoid crowded buses during peak travel hours, the average price would be between VND 130,000 - VND 150,000. Saigon Centre is the crown jewel of shopping in Ho Chi Minh City. It includes two 'phases' - the first phase was completed in 1996 and the second phase was completed in 2017. In fact, the second phase went on to become the fourth tallest building in the city. Saigon Centre boasts of more than 46,000 square metres of space that is used by offices, service apartments, and multiple retail outlets. The centre includes three levels of spacious parking. Due to its pricing, Saigon Centre has become immensely popular as amongst the upper-middle class as a destination for shopping in Vietnam. It's a great location to buy electronics and apparels, hosting brands such as Bambou Company, Gingko T-Shirts and Dogma. Vietnam has its share of malls and shopping complexes, and Saigon Square is certainly one of the best in Ho Chi Minh City! This destination has a vast collection of clothing and fashion accessories which are sure to delight every bargain shopper. 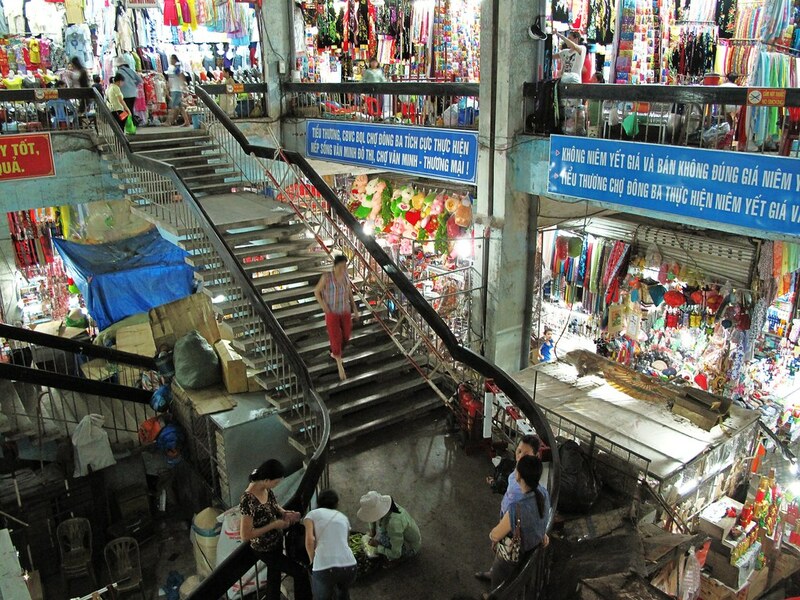 This marketplace is air conditioned which comes as quite a relief from the hot weather of Vietnam. With its wide collection of jackets, coats, dresses, wallets, bags, and much more, you are sure to find some goodies to take back home. The Ao dai, a long-fitted typically worn with slacks, is considered the country's national clothing for women. It's quite an elegant garment to own after your Vietnam travels. Because of the fit, it's best to use local tailors to make the ao dai according to your body type rather than buy ready-made ao dai from the market. But keep in mind that this traditional Vietnamese garment, handcrafted with the finest Vietnamese silk, won't come cheap - getting customised Ao Dai would cost between VND 700,000 to VND 1,500,000. If you're looking to shop for affordable clothing in Vietnam, then you'll be happy to learn that Vietnamese tailors are quite proficient in recreating your favourite styles at a cheaper rate than brand stores. Show them your desired product, provide your measurements, and these highly-reputed tailors will do the rest! Within a week, you can own pretty customised garments without burning a hole in your wallet. The fine handiwork of Vietnamese clothing is a souvenir you'll want for the rest of your life. Vietnam's booming silk industry, too, offers a great range of colours and patterns for every kind of attire. From shirts and ties to dresses, these silk garments are beautiful to wear, and even more exciting to view as you are shopping in Vietnam. 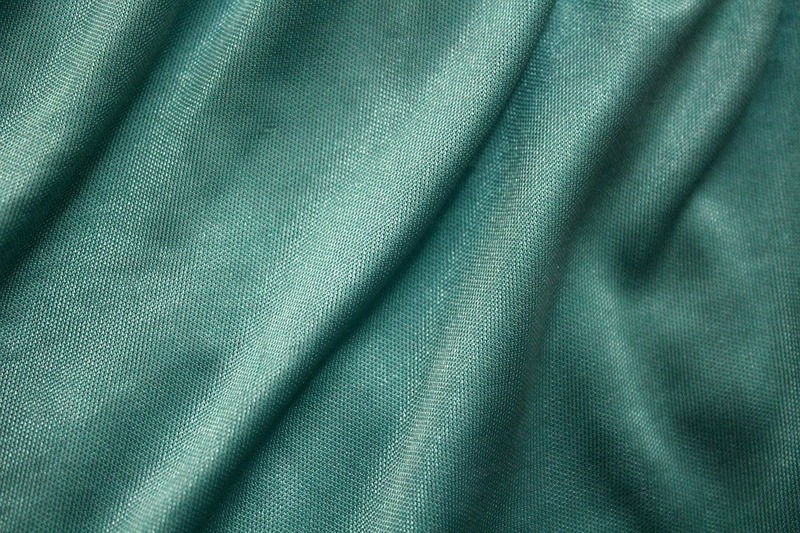 You can buy regular silk for around VND 70,000 per metre while the more premium fabrics are VND 100,000 per metre. 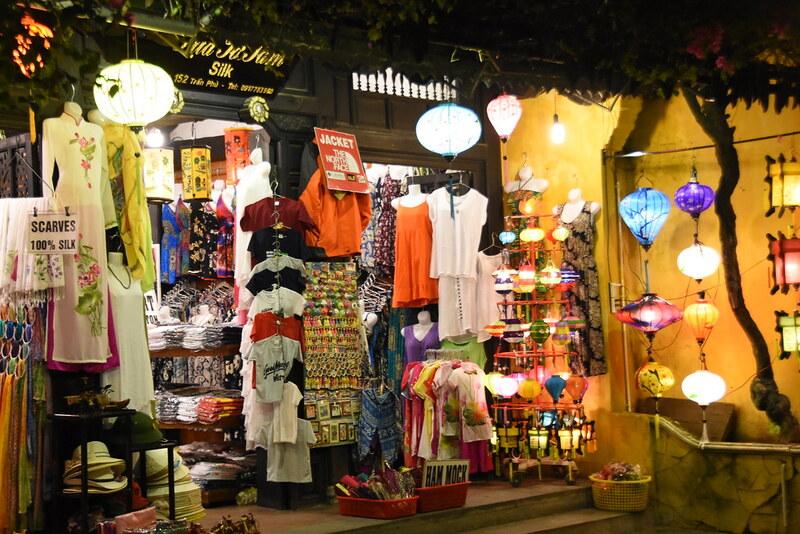 Unfortunately, counterfeit silk is fairly common here so it's best to properly inspect your garments before purchase and opt for well-known stores such as Hoi An Silk Village. Courtesy of the prosperous embroidery industry in Vietnam, you should definitely consider shopping for their beautiful hand-embroidered items. They are usually made by communities in the mountainous regions of Ha Giang, Mai Chau and Sapa. While most garments depict wildlife scenes, some shops even let you get your own portrait embroidered on garment! While shopping in Vietnam, you'd be amiss if you don't seek the Vietnamese conical hat, also known as non la. The Non La has become synonymous with Vietnamese culture since the 1700s, and is the perfect souvenir for your friends, family or a little memento for yourself to remind you of your trip to Vietnam. It is handwoven from bamboo and palm leaves, offering shade on sunny days and blessed cover on rainy days. Not only are they cute to wear, but they are available at reasonable prices of VND 10,000 at local markets. Avoid buying these at souvenir shops, which will sell them at inflated rates of VND 30,000 - VND 100,000. Another great accessory to buy from Vietnam is pearls. Ha Long Bay and Van Phong Bay are home to many pearl farms. You can buy good-quality necklaces, earrings, rings and bracelets from the home-grown Saigon Pearls brand for prices starting at VND 3,000,000. They make accessories from gemstones and gold too. Deviating from the traditional Vietnamese drink of rice wine is Vietnamese Snake Wine. A popular drink in Vietnam, the snake wine comes from infusing snakes, usually venomous, into jars containing rice wine. Locals believe that drinking this increases virility. Snake wine can be found in most local markets like Binh Tay Market, and should definitely be on you shopping list to wow your friends back home. In terms of souvenirs, Vietnam's war memorabilia and propaganda posters are quirky additions to any household. They were used by the government to raise spirits during the Vietnam War in the 1960s and 1970s. Bright and colourful, they would cost around VND 500,000 to VND 800,000. You can find them on sale in Hanoi's Hung Bac Street. 2. As would be the case with any busy marketplace, make sure you keep a tab on your valuables at all time as pickpockets might target you. 3. Goods manufactured in Vietnam are cheaper as compared to imports, and paying in Vietnamese Dongs is cheaper as compared to U.S. dollars or euros. 4. Malls and certain department stores are costlier than local markets, so make sure you shop in the local marketplaces to get good bargains. 5. Use the local language as often as you can; it certainly will aid your negotiations over prices! With a wide variety of things to buy, places to buy them from and unbeatable prices, shopping in Vietnam is every shopaholic's dream. So pack light when travelling to the country, as you are going to want to buy all the Vietnam has to offer!